THE SECRET OF THE CORK L.I.S. 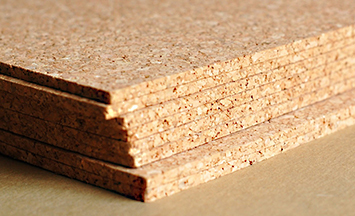 After a particular crushing treatment and grinding of the bark scabs, the cork granules, porous and freed from woody waste, are placed in a pressure oven and heated to a temperature of about 380 ° C, without any contact with air. Under such temperature and pressure of the natural resins of the cork (including the Suberin) begin to liquefy, moving to the granule surface, thus starting the natural process of compaction and welding of the granule with the granule perfected subsequently by a treatment of waves at the frequency (patent LIS) and finally strongly compressed by a hydraulic press that determines the structure of the agglomeration and the size of each single panel. All without addition of any additive or artificial binder. The above manufacturing process has the primary purpose of obtaining the dimensional stability of the panels. Good compressive strength.